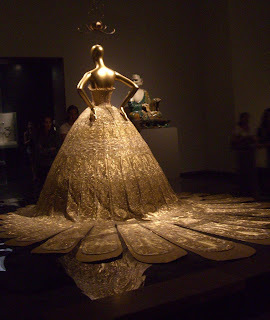 My photo bears the title of the exhibit that is currently at the Metropolitan Museum. Spread out over a multitude of galleries, it is so much more than a collection of garments. This is the most spectacularly mounted exhibit I have ever seen. Hand embroidered emperor's robes share space with couture evening gowns. Antique snuff bottles sit with 1920s perfume bottles and the Met's gallery of blue and white porcelain is filled with matching dresses. Mirrors, panels of glass, red and black laquer-like surfaces evoke both China and the disconcerting world of Alice in Wonderland. 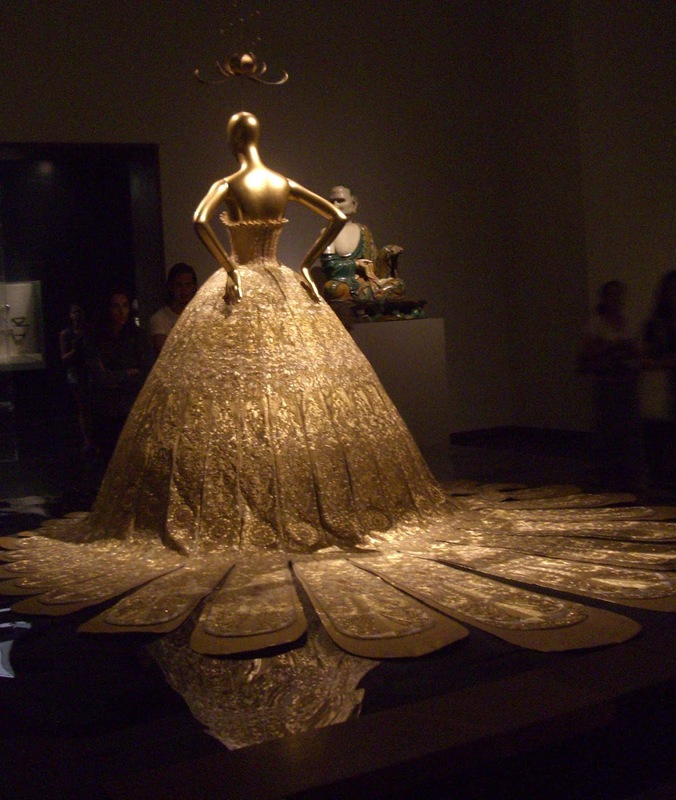 Dozens of Buddha statues watch over Guo Pei's golden gown, with its lotus-shaped bodice. It reminds me of a 1950s evening gown. Inspiration can flow both East to West and West to East. The exhibit has been extended to Sept 7, 2015. Drop everything and go see it.